The concept of a Guardian Angel originates from God’s promise to his people when he rescues them from slavery in Egypt and promises to send an angel ahead to guard them as they make their journey to the promised land. All of us carry the promise of a Guardian Angel, as well. BB Becker’s design is packed with meaning as it is composed of several circles. The circle is a symbol of completeness. Notice the three sterling rings holding the round silver plaque. Two small wings accompany the distinctive hand-lettering. 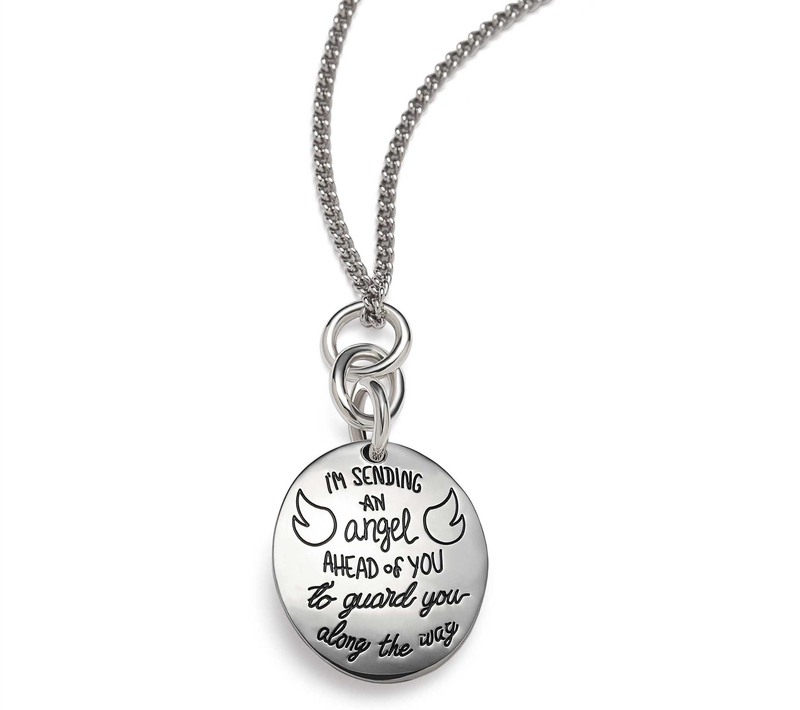 This pendant is a wonderful reminder of your guardian angel or a comforting gift for someone facing a challenge.